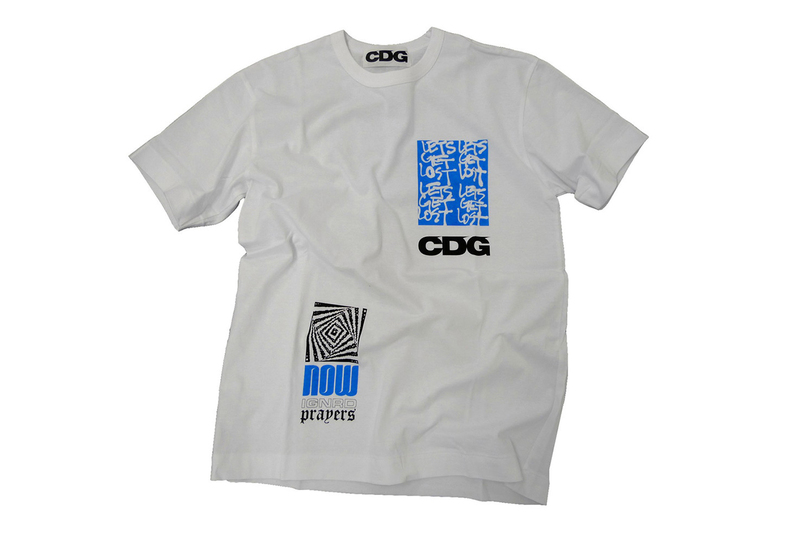 After announcing the global launch of the digital-focused CDG label, COMME des GARÇONS teams with LA’s Ignored Prayers for a trio of exclusive T-shirts. Emblazoned with CDG branding and “GET LOST” graphics, the white shirts host black, green or blue-tinged prints for maximum contrast. Though each shirt utilizes a different print on the rear, two share similar detailing on the front, differentiated by distinctive hues. Expect the collaborative T-shirts to arrive alongside the other exclusives when CDG’s international web store goes live on November 1. Elsewhere, Dover Street Market locations around the globe revealed exclusive CDG installations. Including new merch by Joshua Vides and Parra. Exclusive coveralls and reversible trucker jackets. Bold graphics and effortless cuts.